The Misfit Flash markets itself as the only fully featured activity and sleep tracker in the world under £50. But is this purely great value for money, or is there cause to set dumbbells ringing? 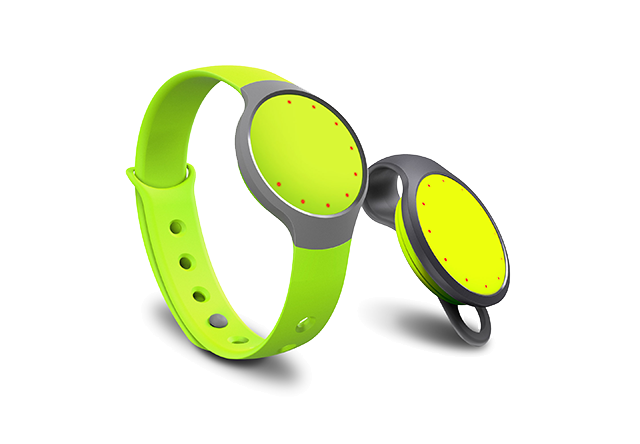 A plastic, coin-sized disc, the MisFit Flash can either be affixed into a strap, and worn like a watch, or inserted into a fob and hooked to an item of clothing. However you wear it, its special soft-touch plastic construction ensures that it is light, comfortable and most importantly, durable. It also happens to be waterproof to a depth of 30m, so feel free to wear it in the shower, bathtub, or even whilst you wash up – and depending how vigorously those pans need scrubbing, it might even count towards your daily workout goal! Once affixed, the MisFit Flash will monitor the calories you burn, the distance you’ve travelled, the steps you’ve taken and your quality of sleep. And considering it doesn’t even require charging, but instead runs off a six month lithium battery, you never need to take it off…EVER! By downloading the brand’s free app, and entering a few personal details such as height, weight and gender (and there really is no benefit in fudging these figures...even slightly), the MisFit Flash syncs via Bluetooth to your phone and presents a clear and concise display of your daily fitness achievements. At the initial set-up, you’re asked to input a ‘points’ value, with the default being 1000, and are subsequently rewarded a certain score for activities including walking, running, or swimming. You earn a greater number of points for a more intense workout, a deeper sleep, or a higher number of steps in a day, thus introducing the motivational element. The overall intention is to achieve, or even exceed, your predetermined ‘points score’ within 24 hours. Throughout the course of a day, you can either press the face of the MisFit Flash itself, and will be presented with a 12 led light display, which cleverly illustrates your progress by flashing a percentage of the lights proportionate to the points you’ve achieved, or you can refresh the app where you’ll receive a more accurate reading. From there, you can judge whether you need to dash out for another quick walk round the block, or can relax in the knowledge that you've achieved your goal and have earned the right to vegetate for the remainder of the evening. The MisFit Flash works very well, and is a great way to monitor and motivate your daily fitness goals. But whilst it’s very interesting to know how many hours of sleep were officially considered as 'deep,' our only gripe is that the app doesn’t offer any recommendations in terms of improving this figure. The same goes for exercise, but then again, considering the tracker costs less than fifty pounds, there’s really no need to wait around for a…flash sale. It's available in a variety of shades, including Lemon-lime Zest, Funky Fuschia and Minimalist Frost, and can be purchased from their official website here.